One...two...skip a few...I meant to post this last week but I went home and my parents only have dial-up. Good news is that in two weeks there has been much in the way of finishing. Most notable is the shawl for my grandmother. Perfect timing since her birthday is today and this month's Project Spectrum colours are blue, grey, and white. 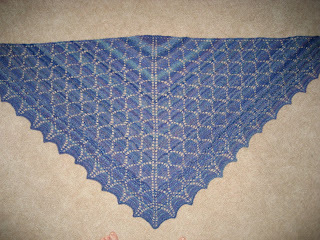 The shawl ended up being comfortably large, making it the perfect chill chaser. Most exciting is the fact that I ended up using all but two yards of the yarn I'd spun. 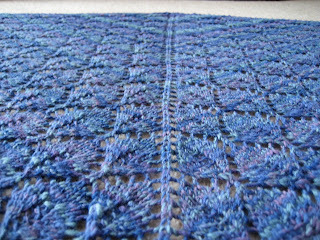 Here's a photo of (most of) the completed shawl. If you look closely you can see my toes, included for scale. 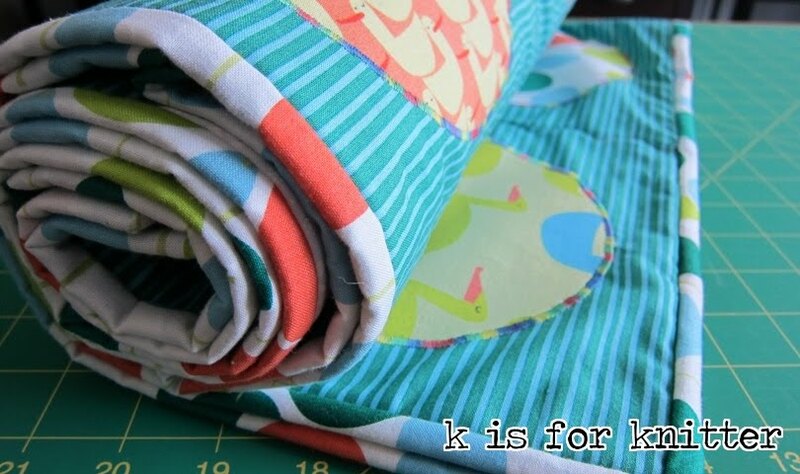 I'm really pleased with the way the striping worked out. I wasn't sure what to expect from the finished yarn since this was my first real spinning project. 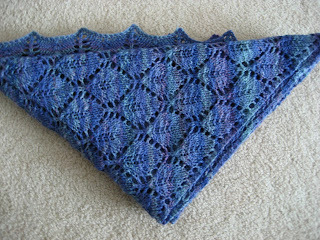 Evelyn A. Clark's Leaf Lace Shawl. 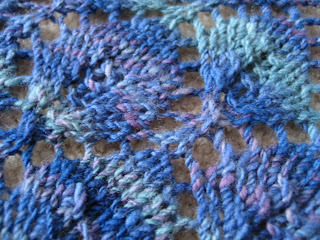 Here's a better photo of the pattern detail after the shawl had been unpinned and worn. I love the tweediness of the yarn. The colours are truer here. Posted by Amanda at 9:29 a.m.